LOSERS in these elections should accept defeat, Forum for Democracy and Development (FDD) President Edith Nawakwi has said. Ms Nawakwi said this shortly after casting her vote at the University of Zambia Polling Station yesterday. Ms Nawakwi said many politicians had a tendency of crying and saying some votes had been stolen when the people made their final verdicts on their preferred candidates. She further said there was no need to go on the streets to fight because when it was your time you did not have to struggle and use force to win an election. President Nawakwi added that some politicians had been using propaganda to win an election by allowing their cadres to go on the streets to fight. 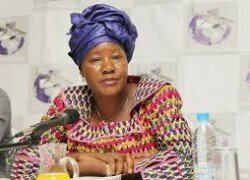 “I don’t see cadres yielding machetes and lose a life at the hands of violence”, Ms Nawakwi said. She urged the youths to throw the machetes away in the jungle, hand over the gun to the police and let the hand of our Lord hold them as Zambians lived together in peace and harmony. Meanwhile, she said she was extremely ready for the results because she was aware that she was going to carry the day as she was number one on the slot. 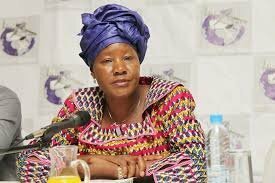 Ms Nawakwi further said she was the only candidate who took time to visit most parts of the country where she was allowed to see what the people were going through. She further said she took the opportunity during her campaigns to learn about what Zambians in other areas were going through and willing to do and that she learnt that all they were looking for was a Government that would stretch a hand and remove them out of poverty by creating wealthy in their households. Ms Nawakwi added that she also learnt that people woke up in the night and could not see where they were going and what their future held for them but that she was confident that they would make a bold decision as to which way the country must go.